Timothy Sullivan is an experienced transactional lawyer. He has orchestrated a number of mergers and acquisitions, handling all aspects of compliance with federal and state securities laws and regulations, and issues relating to ERISA, tax, labor and environmental matters. 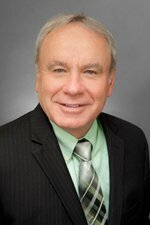 Mr. Sullivan is a past leader of Hinshaw & Culbertson LLP's national Commercial Transactions Practice Group. Mr. Sullivan has also provided general advice to publicly traded corporations regarding the applicability of federal and state securities laws and helped them comply with various federal and state securities regulations. Mr. Sullivan's counsel reflects his extensive knowledge of Securities and Exchange Commission ("SEC") requirements and their application to annual reports, Form 10-K, proxy statements, private placement memoranda, and executive stock appreciation and restricted stock compensation plans. He also advises clients on insider trading restrictions, insider trading reporting and related issues under Section 16(b) and Rules 144 and 145. Mr. Sullivan has served as issuer's and underwriter's counsel in various public offerings and private placements of securities. Mr. Sullivan has also advised corporations on corporate governance issues, particularly with regard to corporations organized under Delaware or Illinois law. This includes providing day-to-day advice on various corporate matters. In addition, he has assisted public companies in developing charters for various board committees (e.g., governance, audit, compensation) and governance policies that comply with the requirements imposed by the SEC and NASDAQ or the NYSE. He has also assisted privately held corporations in developing such charters and policies. Mr. Sullivan joined Hinshaw & Culbertson LLP in 1994. He was previously the chair of the mergers and acquisitions practice, and member of the management committee, at the Chicago law firm of Pope, Ballard, Shepard & Fowle. He joined Pope, Ballard in 1977 after serving a two-year judicial clerkship with Daniel P. Ward, Chief Justice of the Illinois Supreme Court. Assisted a privately held company that provides services to the casino industry in becoming a public company. Mr. Sullivan engineered a "reverse acquisition" allowing the client's shareholders to exchange their shares for 95 percent of the stock of an SEC-registered company that had not conducted operations for several years. The client became a wholly owned subsidiary of the public company, and the shareholders took control of the public company. Mr. Sullivan's work on the reverse acquisition included drafting the acquisition agreement, preparing convertible notes and warrants, drafting a stock option plan, and filing initial Form 3s and Schedule 13Ds for the officers and directors of the client. The client undertook a private placement to raise up to $7 million, and Mr. Sullivan handled the Form SB-2 ownership registration filing for the insiders, warrant and note holders, and private placement purchasers. Assisted a NASDAQ client, capitalized at $750 million, in acquiring a closely held company in a tax-free stock exchange valued in excess of $130 million. The client did not register with the SEC the common shares delivered to the selling stockholders because the SEC holds that the stockholders of a closely held corporation make their investment decision when they sign the acquisition agreement and make the exchange a private placement. Immediately after the closing, the client filed a Form S-3 shelf-registration permitting the stockholders to sell their shares of the client's stock off the "shelf" for one year following the closing, after which the stockholders could sell their shares pursuant to Rule 144. In addition, the client gave the stockholders demand registration rights and piggy-back registration rights, available for three years after the expiration of the shelf-registration statement. Mr. Sullivan drafted all of the acquisition agreements, including the registration rights agreement and the investment agreement (which established that the exchange was a private placement), as well as the S-3 Registration Statement. Assisted a client in its acquisition of all of the stock of a NASDAQ listed company for $430 million. Mr. Sullivan filed an S-4 Registration Statement to register the common shares issued in the transaction. Due to the nature of the transaction, the client's shareholders also had to approve the acquisition, and the Registration Statement included a proxy statement for that purpose. The acquisition also involved a lock-up option for the buyer, which permitted the client to acquire up to 19.9 percent of the seller's issued and outstanding common stock if a third party made a hostile offer for the seller. Mr. Sullivan led the team drafting all of the acquisition documents, including the Registration Statement and the lock-up option, reviewed the seller's and the buyer's benefit plans to facilitate the merger of these plans or the termination of the seller's plans, and assisted in various aspects of the due diligence process. The firm also provided the tax opinion for the transaction. Assisted in selling a $250 million, NASDAQ-listed holding company for $53 million following an extended, SEC-supervised proxy fight with a dissident shareholder. Hinshaw & Culbertson handled all filings and communications with the SEC during this proxy fight. The firm also represented the client in a number of special factors relating to the sale, including: securing funds to cash out employee stock options and terminate an ESOP, which held more than $2.0 million of stock that had not vested; securing buyer approval of "golden parachute agreements" held by key management personnel; and preparing the proxy statement relating to the shareholder vote on the sale of the company, including SEC review and mailing to the shareholders. Assisted in selling two clients in a leveraged buy-out for a total of $28 million, plus the assumption of approximately $8 million in debt. The sellers, located in Iowa, process ham and turkey for major meat-packing companies. The transaction was consummated by merging one of the selling companies into a wholly owned subsidiary of the buyer, and by the buyer acquiring substantially all of the assets of the other selling company. The acquisition agreements contained extensive indemnification provisions and required the sellers to establish indemnity funds. A substantial amount of one of the selling company's stock was owned by an ESOP. The ESOP participants had to approve the merger, and a fairness opinion had to be secured for their benefit. In addition, the other selling company was a Subchapter S corporation. As a consequence, certain tax issues had to be addressed before the acquisition could be consummated. Structured the acquisition of an insurance agency and broker client by a financial services company for $8.5 million with a two-year payout provision providing for up to $10 million in additional compensation. In addition, the principals of the insurance agency entered into employment contracts with the buyer. The transaction was consummated as an asset sale. Represented a client that acquired a Chicago-area bank with assets of $85 million in a $10 million cash transaction. The client raised the cash by selling approximately $6.3 million of its common stock in a private placement and by borrowing approximately $3.7 million from a local bank. We represented the client in negotiating the purchase agreement, securing regulatory approvals, and handling the private placement and the bank financing. Assisted a home health care client in a $12 million acquisition of all of the stock of a Mississippi-based company providing home health and rural clinic services in Mississippi, Colorado, Utah, Idaho and California. Several side agreements, including a management services agreement and an escrow agreement, also were negotiated by the parties. An ESOP owned 18 percent of the common stock of the selling company. Represented a client in the $2 million purchase of an Illinois Harley-Davidson dealership. The purchase price included the purchaser's assumption of lines of credit with Harley and Kawasaki. A portion of the purchase price was placed in escrow. The seller received a two-year consulting agreement. Assisted a client in the $33 million cash acquisition of a $200 million financial institution, which included the payment for the company's shares and the cash out of employee stock options. The client also had to retire preferred stock and senior debt as part of the transaction, as well as terminate its ESOP. Timothy Sullivan Authors Article, "Securities Rules for Private Equity Financings"
Timothy Sullivan and Michael Morehead Co-Author Article, "FRB, FDIC and OCC Issue Proposals that Would Revise Bank Regulatory Capital Requirements and the Risk-Weighted Asset Rules"
Michael Morehead and Timothy Sullivan Co-Author Article, "Proposed Rules on Incentive-Based Compensation Arrangements"